Last year I wrote an article predicting that messaging apps were about to become very important for marketers. Most of what was discussed in that piece is now starting to materialize, but I underestimated how big a phenomenon this trend has become and will continue to become over the next few months. For most of the history of mobile phones, SMS was the defacto method for leveraging data transfer and interconnectivity. African mobile banking technology M-Pesa, which launched in 2007 and was an instant success, relied exclusively on SMS to provide widely accessible financial tools to millions of people. 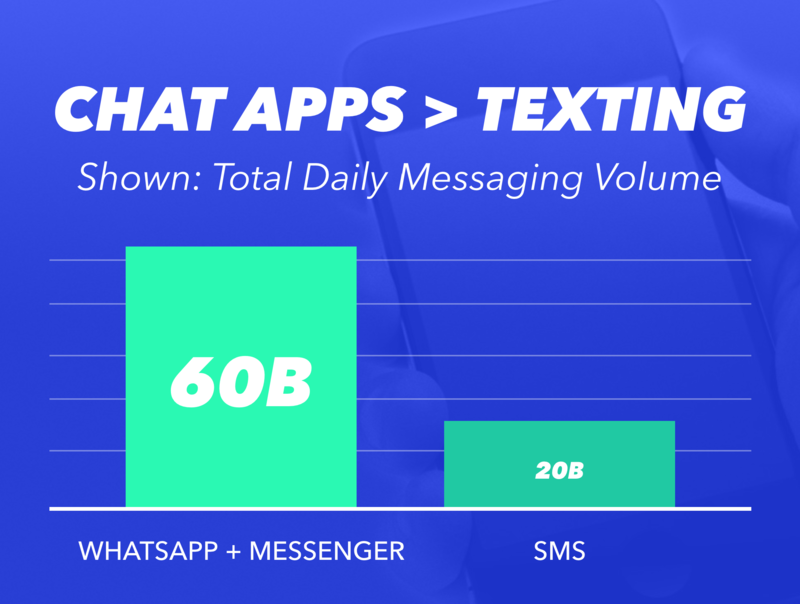 Despite SMS’s proven capabilities for enabling widespread communication and robust user technologies, Messenger and WhatsApp process 60 billion messages a day, which is three times more than SMS. 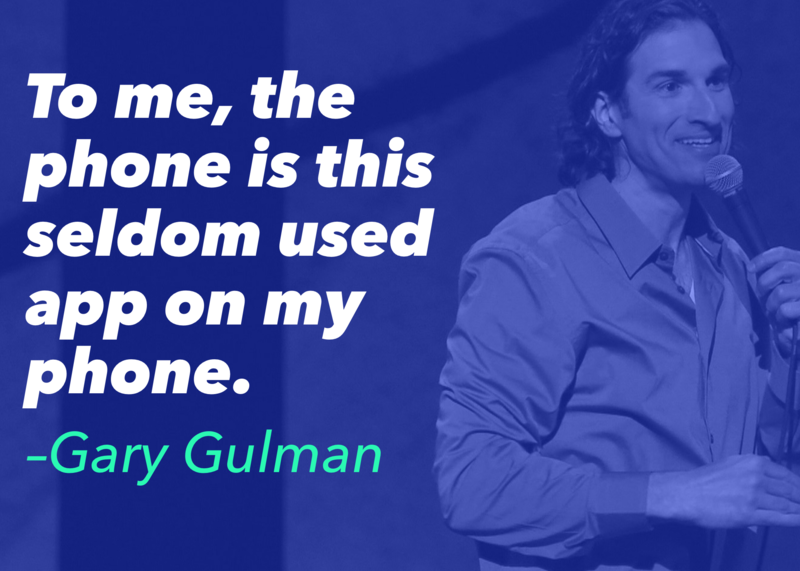 At that same conference, we got a chance to see just how robust these “rich” messaging apps can be. This article will highlight both the big-picture impact messaging apps will have on the marketing landscape and also highlight strategic and tactical takeaways brands can use to begin gaining an advantage on these promising platforms. The excellent cover story of last month’s Harvard Business Review discusses that the new wave of business strategies will be to embrace the power of platforms. As the article points out, the real reason the iPhone was such a hit and easily usurped all the long-standing competition was because of the power of the App Store platform. The utility of whatever Apple could build into the phone itself was outweighed by an enormous margin by the applications generated within their “Walled Garden” ecosystem. The reason for my sunny outlook on chat apps is that I feel they have the potential to become the next “App Store” environment. I think this is where things are heading because it has already started to happen with messaging apps like Facebook Messenger and WeChat. WeChat, a massive chat app mainly used in China, has already started pursuing this type of strategy in their core market and their customers love it. 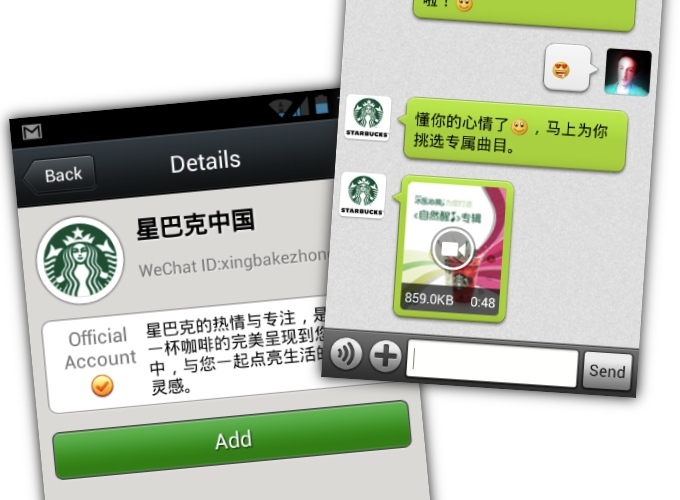 WeChat’s offerings are “App-like” in that they need to be downloaded, but everything from games to stickers live directly within the WeChat ecosystem. These stickers are used within the app, whereas games are a seperate downloaded app, but allow for game-play with your friends on WeChat. 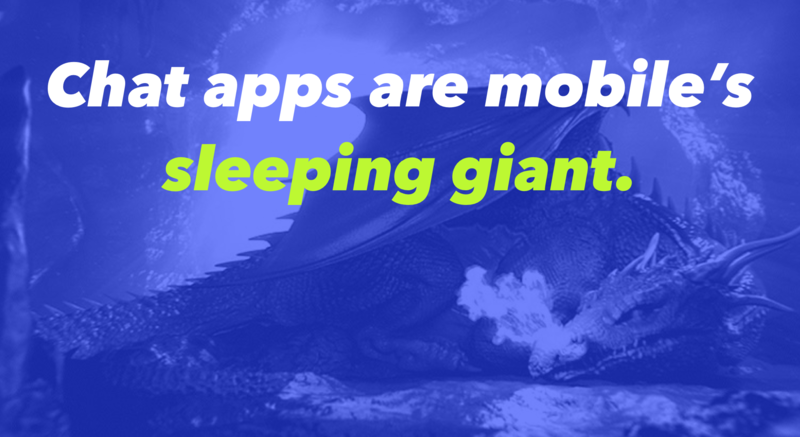 A carrier/OS agnostic, cloud-based future for apps is here. Chat apps are the platform that will enable them, and the best part is that 64.5% of smartphone users worldwide already have at least one chat app installed on their phone. We can get a fairly good idea of how this app revolution will play out on the other side of the Pacific from what’s happened with WeChat and what investments Facebook is taking as well. News sites like Quartz (more on them in a bit) and theSKIMM are experimenting with standalone apps that appear to be small experimental chat apps that leverage the more robust distribution of the existing App Store ecosystem. Even more exciting is the fact that messaging apps like Kik, Telegram and FB Messenger are quickly beginning to open up their Bot APIs. As I mentioned, Facebook recently outlined its marketing roadmap at the F8 Conference, and the Messenger API and ecosystem factor heavily into Zuckerberg’s vision for his company’s future. Having covered the marketing industry for years now, I’ve learned to take Facebook’s predictions for the future pretty seriously. Even if their predictions don’t always pan out, which this one will, they are still strong indicators of either how consumers are communicating at this very moment, in the near future or years to come. Last year I wrote an article highlighting that content marketers should double down on Facebook video, and over the course of the past year, BuzzFeed’s Tasty (one of many examples) has almost exclusively leveraged Facebook video to become a social media juggernaut. AI bots have been around since the early days of AIM. But they were never anything more than an annoyance. The forefront of the consumer AI industry is currently represented in virtual assistants like SIRI, Cortana and Google Now. While superficially impressive, these applications have proven to be little more than fun novelties with limited practical usage. The reasons the technology has never achieved widespread viability are twofold. The first problem is that broad AI presents a massive challenge because it tries to be excellent at everything. There are a nearly infinite set of use cases engineers need to prepare for if you can “ask anything,” and that has been a massive engineering hurdle to clear. Another problem (that is not as daunting but is still a road-block) is that voice recognition technology is kind of there, but still too imperfect and temperamental to be responsive in the way the application requires. Also, there’s an additional cultural element to the issue – people don’t really like talking on their phones period. Talking to them and not being understood? Forget it. Chatbots have the potential to solve both of these problems with a single stroke. Addressing the first problem, free market competition and the incentive for companies to focus on specific applications will create a whole host of specialized assistants fine-tuned to specific problems. There is so much potential for chat apps and brands that it’s hard to even know where to begin. However, for guidance, we can start by looking at some early adopters. 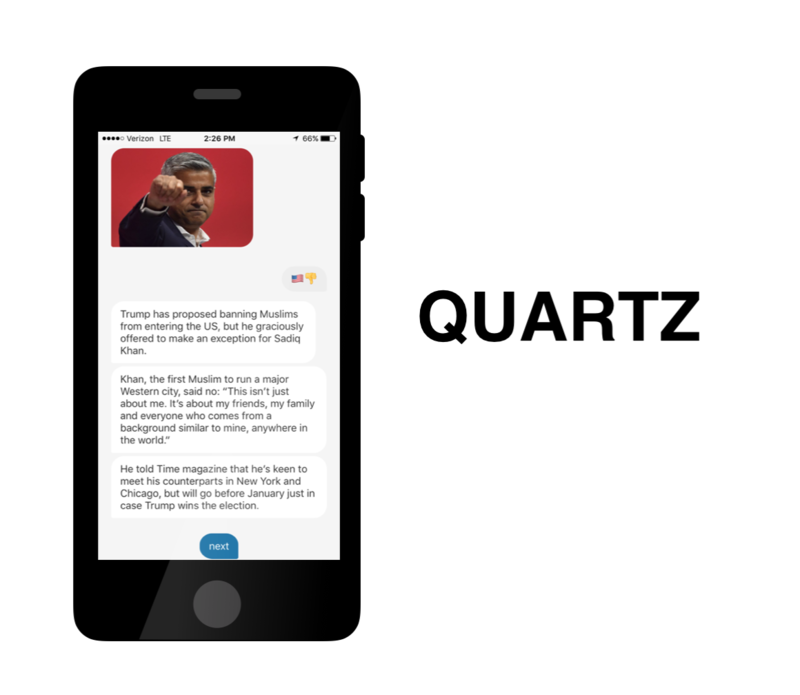 Although it’s a standalone app, Quartz has built a truly exemplary first run at a “Chat-esque” interface. The app looks much like a messaging service, but without the familiar keyboard. Instead you are given access to pre-written responses, often cleverly summarized in emoji. This acts as a cleverly skinned delivery service for a curated news briefing, and it has caused quite a stir in the publishing world. However, it is more a proof of concept than a full-fledged chat app experiment. Quartz gave an interview to The Verge in which they noted that controlling the voice and tone with which the news was given over was their key concern. Although full automation technology might not be there yet, the lessons of Quartz’s app experiment are clear. Ensuring hyper-focused utility, and humanizing with careful attention to brand voice, are the keys to succeeding on the technology. Another big possibility for brands is in the customer service arena. Many brands use Twitter as an ad-hoc customer service solution but the idea of a robust AI interpretation of the customer service experience has almost limitless potential to revolutionize the industry. My self-aware social media article advised that brands must be very sensitive to humanizing their tone of social media, this goes double for an application like a chat-bot. The famous test for AI is the “Turing Test” for whether or not an AI could fool a human being into thinking it was another person via text conversation. This might seem really ambitious, but this goal appears possible given the rich new context (location, intent, previous interests) that messaging apps can provide an AI framework. One current implementation that leverages existing technology beautifully is Sephora’s new chatbot built for the Kik messaging platform. Acting as one part salesperson, one part customer service rep, Sephora’s app helps guide customers through the in-store shopping experience and does so in a friendly conversational way. 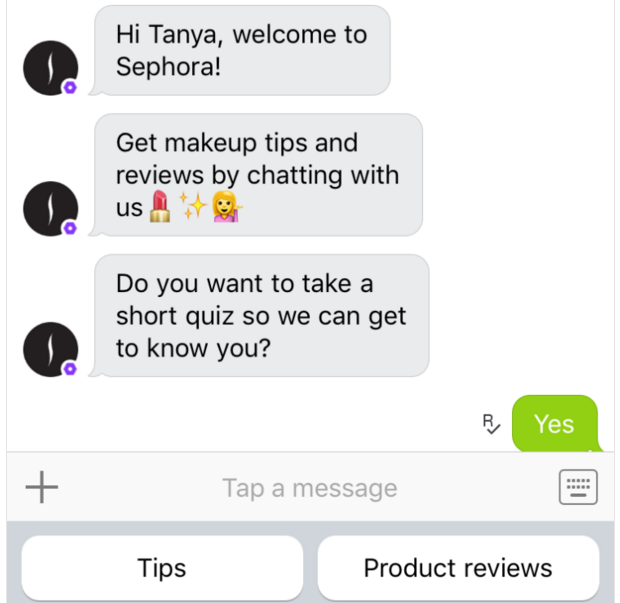 The key insight provided by Sephora’s bot is that brands should use the context and intelligent feedback provided by messaging apps to leverage and re-frame their existing content. With Kik, we’re able to leverage our extensive library of how-to content, videos, images, and text tips in a new way,” said Shah. “We know ratings and reviews are a very important and trusted part of her decision-making journey — and now, she can use the Kik chatbot as a resource instantly, rather than waiting for relevant content to appear in a news feed. This is such a crucial point for brands to understand. Your content marketing is one of your brands biggest assets, but nearly all delivery systems thus far have no way of determining context. Chat apps will be huge for marketers because chatbots will allow them to finally leverage content and context at once. By their very nature, messaging apps are contextual and flexible. 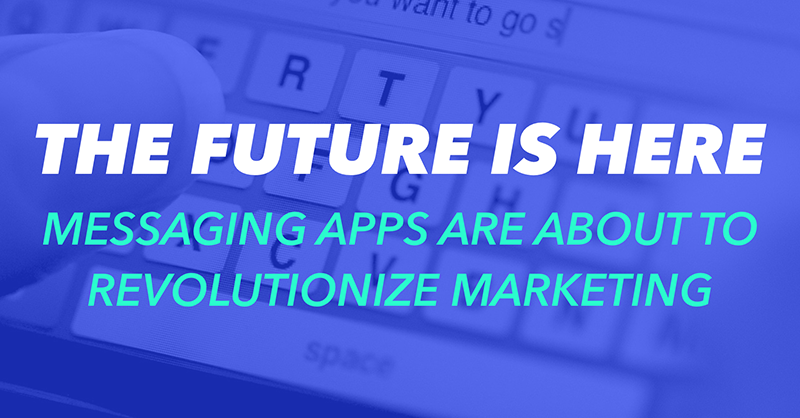 This will require marketers to completely rethink their current approach to apps in the more traditional sense. With Apple’s App Store, apps were always something you needed to sign up for then download. They were limited by OS as well. All of these barriers to consumer entry, yet apps still completely revolutionized mobile computing and marketing. It’s been nearly a decade and this fundamental system hasn’t really changed. But chat apps present a paradigm that is about to shift. Chatbots keep all the content in the cloud, so no download necessary in many cases, and you can access all the functionality precisely when you need it. In addition, the fact that the app and bot will know exactly where you are/what you need will allow intelligent, and exceedingly practical automation and utility. Although chat apps and the bots that will soon dominate them are still in their infancy, any forward-thinking brand would be remiss to not start trying to incorporate them into their future marketing efforts. Limit functionality to one specific area and do that one thing well. 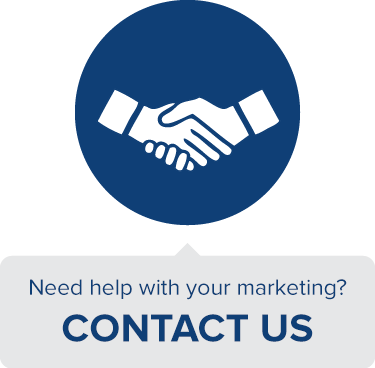 Retain a strong, conversational tone to their messaging. Use contextual signals to both leverage existing content and guide the creation of new, useful content down the line. There is a whole mess of debates regarding the exact impact chat apps and bots will have on the future of digital media and marketing, but there is one fact that very few seem to disagree with – a revolution is coming.